Osram is one of the top players in automotive car lighting in the world. Osram car lighting technologies are designed to offer drivers smart and stylish design options. Laser-based car lighting is much brighter and enables a doubled high-beam range. The improved down-road visibility and clarity for the drivers increases safety for all on the road. A glare-free full-beam is another of Osram’s solutions to enhance visibility. The latest automotive technology using invisible light, LiDAR (light detection and ranging), plays an important role in advanced driver-assistance systems, which are increasingly enabling semi-autonomous to fully autonomous driving capabilities. LiDAR systems generate laser pulses that hit objects and reflect light back onto a detector. The time of travel of the laser beam measures the distance to the object. Osram multi-channel laser light source enables vehicles to generate an accurate, three-dimensional image of their surroundings and use this information to calculate the correct driving maneuvers. An accurate evaluation of the vehicle surroundings is much important for safe autonomous driving. Headlights using laser technology are the next stage in automotive lighting. Due to the high performance of the laser, which is about five times higher than the best of other light sources available today, these headlights double the best high beam range previously available, from 300 to 600 meters (2,000 feet). 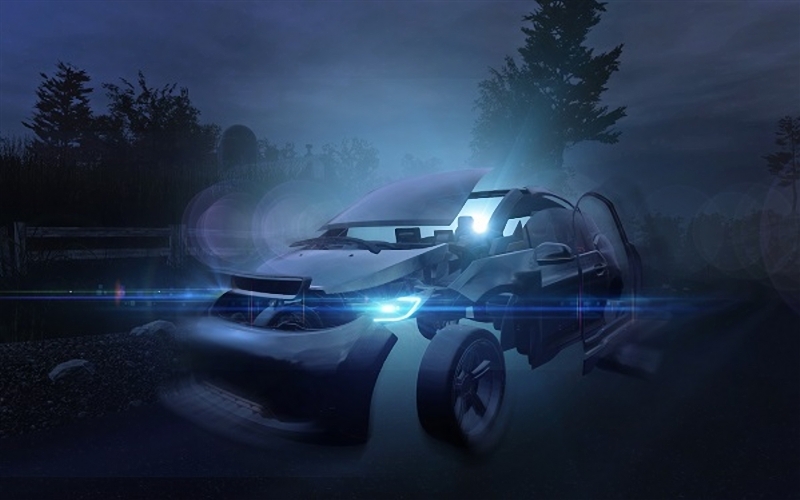 Osram energy-efficient laser lighting, which covers some of the smallest technology components available, entered into serial car production with the BMW i8, the BMW 7 series and the Audi R8 und R8 LMX as boosters added to the high beam. This provides better visibility for the driver and thus greater road safety. In addition to laser technology, advanced pixel headlights represent the future of automotive lighting. Together with partners, Osram developed a tiny LED matrix chip with more than 1,000 individually controllable pixels. A headlight comprising several such LED chips allows permanent driving with glare-free full beam. An onboard camera recognizes oncoming vehicle and pedestrian traffic, automatically dimming the high-resolution LED chips to ensure that the head areas of oncoming drivers, pedestrians, and cyclists are spared from the light beam. This provides the driver with the best possible light at night, with no other influence on other traffic users. Osram expects to bring this technology to the commercial market by 2020. The most innovative technology for rear lights are Organic LEDs (OLEDs) which produce light in very thin layers and open up new pathways for design. OLEDs can be separated so that switchable light surfaces can be arranged very close to each other, allowing for 3D shadow effects and dynamic functionality. In the near future, design choices will be further extendted by the production of OLEDs on foils, allowing the OLEDs to be bent into any conceivable shape. In addition to offering enormous flexibility of design, OLED technology boasts the advantage of consuming very little energy.